As one of the most culturally significant regions in the world, Scandinavia has a huge influence on our architecture, interior design and fashion. We’re envious of their peaceful lifestyle as well as their seemingly inherent style. The Scandinavians seem to have struck a perfect balance between aesthetics and function, which is encapsulated perfectly by hygge, Denmark’s lifestyle concept that’s inspiring design schemes all over the world. Read on for the best places to visit for a slice of Scandinavian design inspiration. We’ll start with Denmark, the home of the aforementioned “hygge”. For those who don’t know, hygge is not just a style, it’s a perspective on life. Roughly translated, it means “cosiness”, but there are many more words that contribute to hygge. Comfort, familiarity, warmth, simplicity, functionality, nostalgia, and (of course) happiness. Hygge is a hot cup of cocoa on a cold winter’s evening, or reading your favourite book with the log fire burning. In design terms, it’s anything that can achieve this feeling. Subtle lighting, functional furniture, and an assortment of interesting textures. Copenhagen is a hub for this kind of design inspiration. Their eleven architectural masterpieces show just how special the city is. From the national aquarium’s twisting five-arm plan to the expressive design of Tietgenkollegiet – the city’s student residences, the city is vibrant as well as hyggeligt (the adjective for hygge). For interior inspiration, or even a purchase, Copenhagen offers up some unique and intriguing options. Dora and Girlie Hurly are the embodiment of this trend-setting Danish style. You’ll find these shops and others like them in the Frederiksberg and Vesterbro areas. If you’re looking for some abstract inspiration, Copenhagen Contemporary is the place to go. Exhibitions include that of internationally acclaimed artist Bruce Nauman, who manipulates shapes and materials with great effect to challenge the visitor’s space, both physically and conceptually. Founded in 1943, IKEA is now the world’s biggest furniture retailer. With stores across all of the world’s continents – excluding Antarctica – it’s fair to say that Swedish design is part of most homes. Fashion retailers H&M, also founded in Sweden, are yet another example of the global Scandinavian influence. 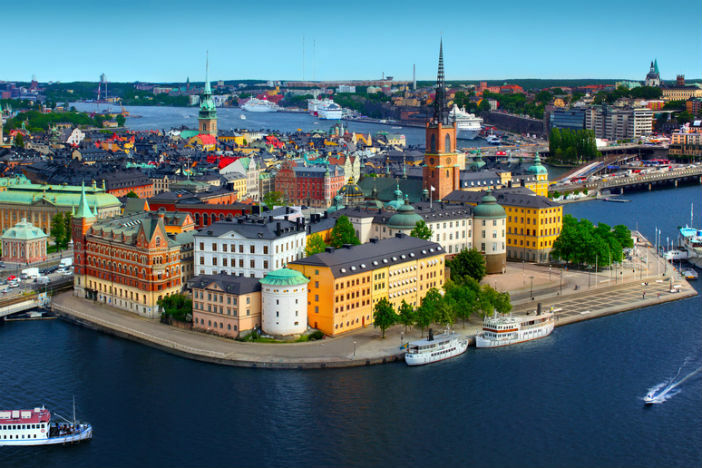 And Stockholm is a reflection of this world-leading design, with a plethora of shops, museums and fine architecture scattered around the Swedish capital. The Bibliotekstan district, in Östermalm, is home to high-end stores like Prada and Luis Vuitton, as well as affluent Swedish labels. A selection of vintage homeware and accessories are on offer around the old town of Gamla Stan. And for the most stylish, creative, contemporary finds, where better than Vogue magazine’s “coolest place in Europe” 2014 – Södermalm. Fashion innovators Grandpa and Nitty Gritty are amongst the names making this area so attractive to design lovers. Aesthetic stimulation is also on offer in Stockholm’s many great museums. Fotografiska is dedicated to contemporary photography, and Industricentralen houses the work of several internationally renowned artists across seven galleries. Elsewhere, Arkdes has an abundance of design inspiration, with over forty architecture exhibitions. Along with Tokyo and Sydney, Oslo is one of the most expensive cities in the world. But you don’t have to spend, spend, spend to soak up the inspiration on offer. Along the Stortingsgata in Oslo’s Sentrum (centre) district, you’ll find Norway Designs. It’s an essential for design enthusiasts. Bringing together samples of work from renowned artists, design firms and talented individuals, the eccentric shop offers a selection of glass, ceramics, paper, textiles and other design products in Norwegian, Nordic and European styles. While you’re in the Sentrum area, it’s definitely worth checking out the National Museum of Art, Architecture and Design. A merger of four similar establishments in 2003, the museum has a huge number of permanent and temporary exhibitions, covering the history, development and future of Nordic and European contemporary art, decorative art and design, and architecture. No visit to Oslo would be complete without some time in Kvadraturen. It’s the oldest district of the Norwegian capital. Here you’ll find some of the best shops when it comes to Scandinavian design. Steen & Strøm is the pick of the bunch. A department store, but not as we know it, Steen & Strøm have been established for over 200 years. They stock a range of items for your wardrobe and the home with handmade products from designers like BeckSøndergaard. It’s a superb place to be whether you’re browsing or buying. In 1957, the International Council of Societies of Industrial Design (ICSID) was set up to represent the interests of industrial designers. They wanted to promote innovation, highlight the impact of industrial design on development in other areas, and celebrate achievements in design. Every two years they name a World Design Capital, and in 2012 Helsinki was given the title, acknowledging their significant accomplishments in design. This accolade is reflected throughout Helsinki. 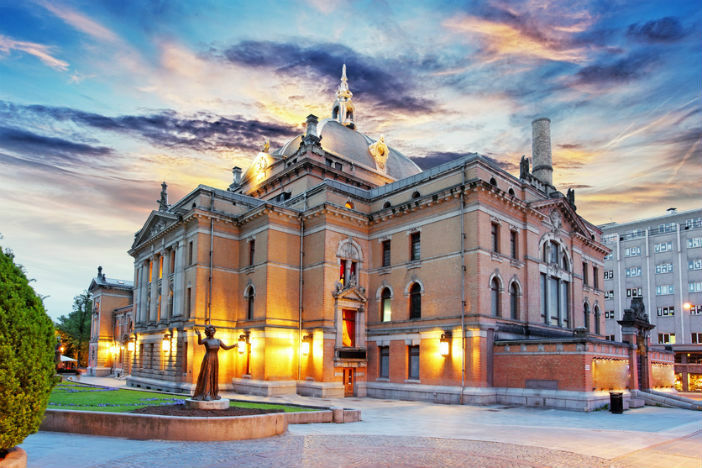 A mixture of well-preserved historic architecture, functionalist architecture and innovative new structures fill the city. 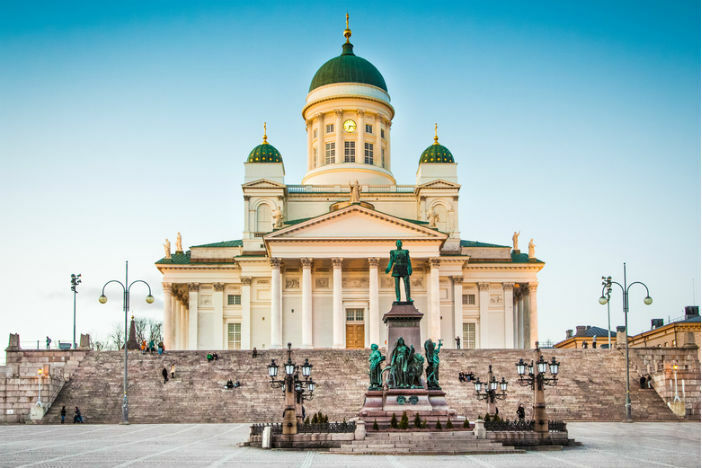 This blend of styles is encapsulated by areas like Rautientori – where you can visit Ateneum, Helsinki’s classical art museum – and the area around the Kamppi Center in downtown Helsinki. Hemtex – Self-proclaimed leaders of Nordic textiles. Indiska – Fashion and interior decoration in the “Bohemian Modern” style, fusing Scandinavian and Indian styles. Iittala – Scandinavian designers who create lasting everyday design and fight the growing trend of “throwawayism”. Marimekko – Finnish designers known for their unique and interesting textile prints. These great Scandinavian destinations offer their own insight into why hygge is sweeping the world. And there really is no better way to see them than on a Scandinavian cruise. 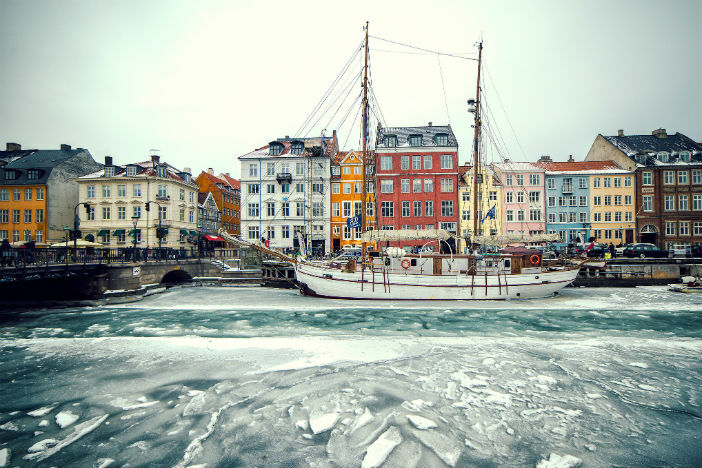 With cruise packages visiting each of the Scandinavian countries, or even all of them in one trip, Cruise1st can give you the perfect Nordic experience. Call us today on 0808 274 6777 to speak to our team of friendly cruise experts. As one of the most culturally significant regions in the world, Scandinavia has a huge influence on our architecture, interior design and fashion.